Wherever possible, we should always make the most of the natural daylight available to us and our working environment. 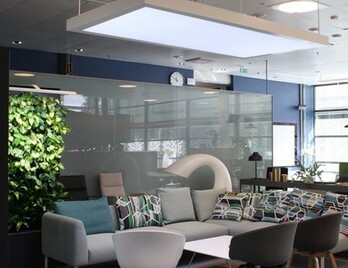 We should consider ways when designing, or redesigning spaces of letting more natural light in, as this will help workers connect with the outside world and will boost their wellbeing. However, not all offices have high levels of natural light and some offices are completely void of any natural light at all. It’s therefore important to consider lighting, as good lighting design has many positive effects as it enhances wellbeing, productivity, and alertness. We have selected some lighting examples below, which we hope will brighten up your day. This stylish floor lamp features a good ergonomically correct light that illuminates both upwards and downwards. The LED module design has touch buttons for brightness adjustment in three different positions. The Lightning floor lamp will add a stylish sleek element to any office or breakout space. Big Sky Dome brings the daylight indoors, attaching to the ceiling as a skylight. 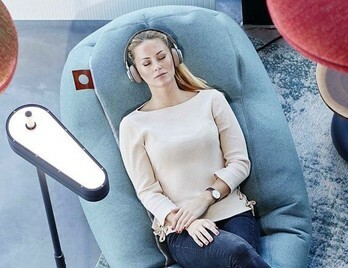 Big Sky Dome is perfect for creating general light fields similar to the spectra found in nature, helping to improve well-being and positivity. The LED's combine in such a way that it resembles a view of the sky, making you feel like you are under a glass roof on a beautiful day. 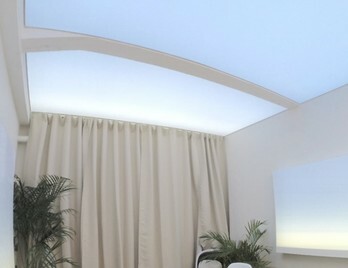 Big Sky Limitless brings the daylight indoors, attaching to the ceiling as a skylight. Big Sky Limitless is perfect for creating general light fields similar to the spectra found in nature, helping to improve well-being and positivity. Big Sky Limitless enables building light fields of any size with minimal glare and they are immersive. The LED's combine in such a way that it resembles a view of the sky and can be tunable with hues, making you feel like you are under a glass roof on a beautiful day. Big Sky Horizon brings the daylight indoors, attaching to the wall like a painting. Big Sky Horizon is perfect for creating general light fields similar to the spectra found in nature, helping to improve well-being and positivity. Big Sky Horizon complements your existing lighting and can vitalize your day or bring a relaxing warm light towards the evening. It's aesthetically pleasing elegant design is easy to adapt to various environments and creates a pleasant view into the horizon similar to a view from a skyscraper. Blonde has subtle yet versatile finish variations which can be chosen by in order to customize and mark out various projects and interior schemes. 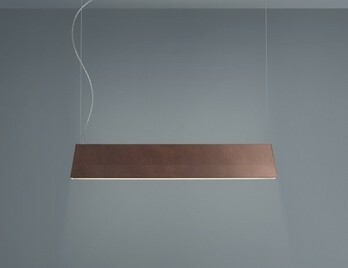 A trapezoidal shape, with a postindustrial taste, paints and lights up space above and below. The aluminium housing can be painted with cement, curtain, chrome polish black, brushed bronze and white. The LED lamp and strip assures a perfect visual comfort for every designing need. Before wondering if your office has the right lighting scheme you may want to make sure you are making the most of the available daylight. Daylight helps with our own inbuilt body clocks naturally telling us when to wake and sleep, so try and work out if you can utilise your windows better or maybe install a skylight? A 2014 study published in the Journal of Clinical Sleep Medicine found that workers with more natural light exposure had better sleep quality, more physical activity and better quality of life. Compared to colleagues without windows, they are more likely to be healthier and maintain a positive mindset. If your office doesn’t have access to daylight or windows then it may be worth considering light boxes which replicate natural light at different times of the day. Light allows us to perceive the world around us so it’s not difficult to see why ignoring lighting strategies in your working environment can have a significant negative impact on productivity. Bright or dull lighting can have a damaging effect as some workers may be sensitive poor lighting schemes and develop eye strain and headaches as a result. Scientific results have concluded that there is a type of light that boosts our productivity, and that is cool light. Bulb temperatures are measured in Kelvin, with 3000 and under being warm and 3000 to 4000 is described as ‘cool white’. Productivity and reports of people feeling happier and more alert have been reported when the light is super cool, with some bulbs rated up to as high as 17,000 Kelvin. We are all different so and it would be fair to assume that we all have varying sensitivities to artificial light at our place of work. General lighting schemes may not suit everybody in the office and some workers may prefer the option of having control over the light that they are subjected to throughout the day. Overhead lighting can create glare, especially when looking at a computer. This can, in turn, cause eyes to become tired and dry. A desk lamp can help cut down on glare and reduce eye strain when reading at lower light levels. It’s important that the lamp is placed properly so it’s not shining in to the eyes. 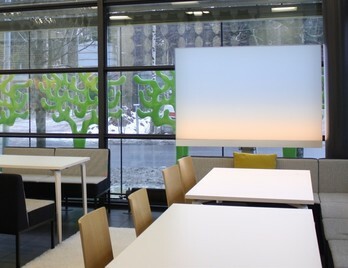 Desk lamps or floor lamps can also personalise workspaces and make workers feel more at home and in control of their immediate working environment. This type of personalisation and creative input and control helps with wellbeing levels and in turn, increases productivity. We often ignore lighting strategies as its sometimes seen as an afterthought in any building project, the lighting scheme and design may often be sacrificed due to costs. In the long run however it would be sensible to consider in the early stages of the build as lighting has so many positive effects on productivity and wellbeing of the company.